UNIMA launches a call for participation in the international workshop “When Youth Re-invent Heritage : Behind the shadows“, from 26th to 30th of novembre 2018, Tolosa (Basque Country), Spain. UNIMA – Union Internationale de la Marionnette, which will celebrate its 90th anniversary in 2019, was built on the strong intention to create a European bond: to go beyond borders in order to connect citizens, amateurs, artists and researchers around puppets. This anniversary is an opportunity for the oldest world theatre organization to turn towards new generations to examine puppetry’s heritage and to explore the ways this heritage can be invested, preserved, and shared. Training through the challenging of cultural practices and approaches around traditional techniques, their contemporary re-appropriation and their exploitation on a professional level. Contributing to a common framework of specific aspects of puppet practices and expertise of puppeteers. The workshop will be focused on light and shadow. Let’s remember that the shadow theater is one of the oldest artistic forms of theater and was celebrated in 2017 for its 500 years of history. This workshop will be an opportunity to host one of the greatest masters we have in Europe on this tradition, the Italian Fabrizio Montecchi from the Gioco Vita Theater. In this workshop, Fabrizio Montecchi proposes an itinerary to discover the contemporary shadow theater, a deeply theatrical language with great expressive and communication possibilities. Shadow – The first part, divided into practical sessions, encourages a personal approach of shadow. Indispensable to our perceptive dimension, omnipresent in our sense’s experiments, the shadow participates and accompanies us in our journey to discover the world. Shadow exists from the beginning, belongs to our daily life and to the observation of the real, natural and artificial; it is the first step towards recognition. You can’t practice shadow theater if you do not know the shadow. From shadows to shadow theater – The second part is divided into theoretical and practical sessions. It offers a view as complete as possible of the various techniques codified in shadow theater. From the characteristics of the projection device, we will analyze the elements that compose it: light, screen and body – object. The types of construction and animation of the silhouettes will also be approached, crossing traditional and experimental techniques. This course is part of the Titirijai festival with the collaboration of TOPIC, UNIMA Euskal Herria and the Basque Government’s Department of Culture, which offers the opportunity to attend all festival performances, as well as lunches and dinners that are included in the registration fee. This workshops is also part of a European project. 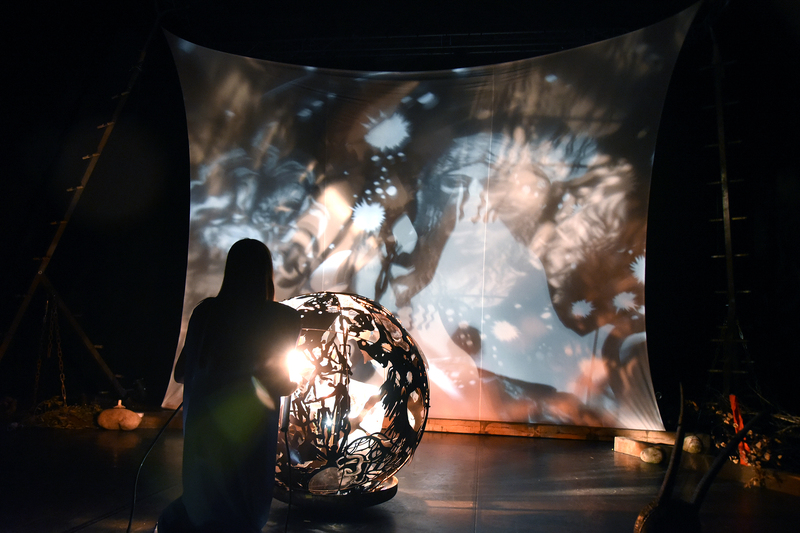 It’s a larger framework of 5 workshops, leading to a European production for 2020, and some collaborative intellectual outputs about puppetry art, traditional techniques and the professional issues. The selection of people for the European production will take place in Stuttgart in February 2020. All participants who want to be part of the European production should have participated in two workshops : the one in Stuttgart and a previous one that was part of the project. Who can apply: Puppeteers and other theatre professionals; educators who have a strong practice of puppetry. Age: 18-30 years. There will be a quota without age limit for those interested in the workshop, but not for the European creation. A single A4 sheet (no more) which includes elements of your CV and reasons for your interest. You can add, if you like, 2-3 photos of your work. The selection will be made by master.